Behold a thing of beauty. All the hard work that’s gone into bringing this 1938 vintage valve radio is beginning to pay off. 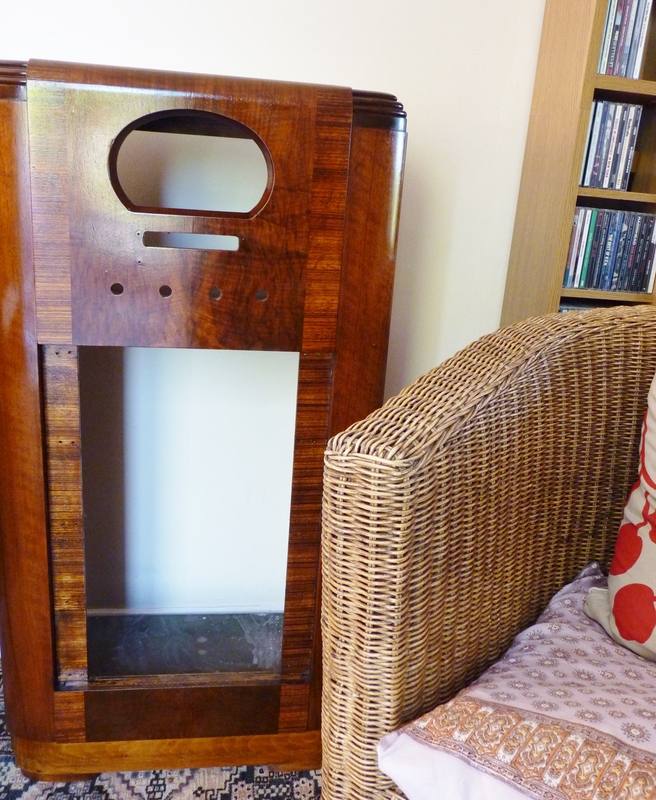 If you compare the craftsmanship of the vintage cabinet to the modern cheap and nasty flat pack CD rack standing next to it, you can see there’s no comparison. The decorated dial has been carefully cleaned with a Q Tip to remove seventy five years worth of grime. The next stage is to replace the speaker cloth and the wooden bars across the front and then there is just the small matter of the vintage electronics.